​Pulse oximetry monitors heart rate and oxygen saturation around the body.​​ It's an inexpensive, simple yet highly effective procedure - hindered only by inadequate equipment and training. 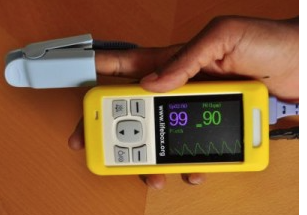 Life Box equips developing countries with training and equipment for blood oxygen monitoring. This World Health Organisation programme on which Life Box is based was piloted in Qui Nhon under the guidance of NZ VN Health Trust volunteers. 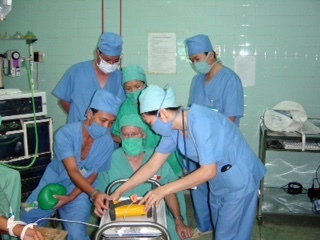 Auckland anaesthetist Professor Alan Merry developed and led the project; VSA nurse volunteer Anne De Bres supported and monitored the three-year programme to deliver training and equipment to aneaesthitists and intensive care nurses from 28 clinics across Binh Dinh. Trustee Dr David Morris says: "For a development project it was perfectly done. It extended province-wide - even remote villages in the An Lao Valley received a pulse oximeter. I recall one nurse being so excited to finally have a way of monitoring the health of his malaria patients. Until the pulse oximetry project he had no way to do so." 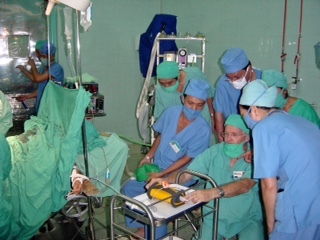 This project continues today, with New Zealand anaesthetists conducting teaching visits in Binh Dinh organised by the Vietnamese Society of Anaesthetists.